FERDINAND -- We don’t know if weather played a factor in a weekend barn fire in Ferdinand. 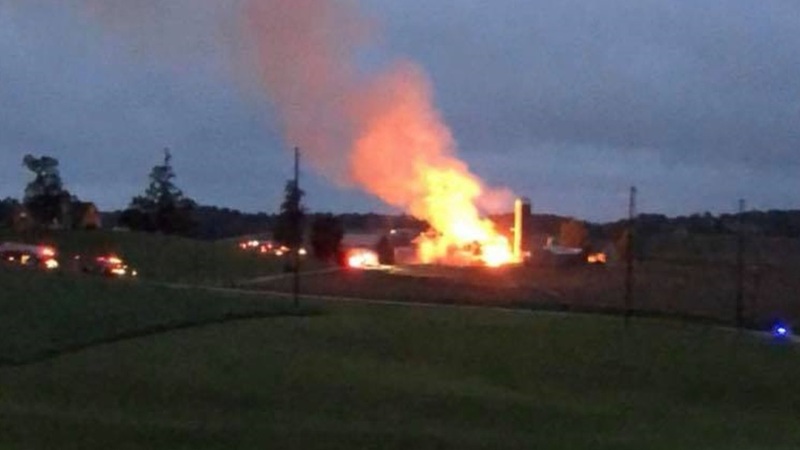 The blaze broke out Saturday evening in a barn on the Dilger Farm. Photos from eyewitnesses showed the fully engulfed structure with thick, black smoke filling the air. Fire crews requested all available manpower to help fight the fire. A tanker truck was also dispatched from another town to help fight the massive fire. No other details are available at this time. We are getting in touch with our sources and will bring you more info on that when we get it.